Meijer has dipped half of a pinky toe into the city. This is big news. Old news, yes, but I finally got to see it for myself. I’m not normally a fan of big-box stores, but I do love Meijer. Maybe it’s just from growing up with it (I’m old enough to remember it as “Meijer Thrifty Acres“)—although I also grew up with K-Mart (a Detroit original, based in Troy) and could take it or leave it. 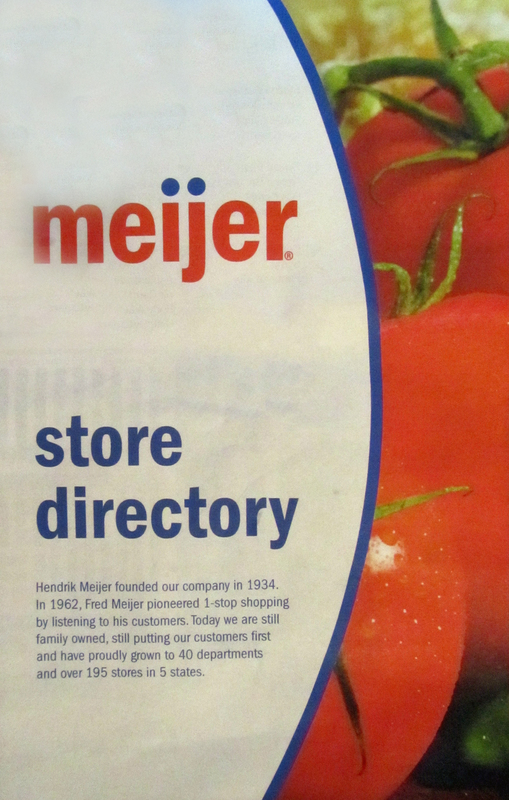 Meijer did have its full one-stop shopping long before Wal-Mart and Kmart ever introduced grocery departments. Meijer is a Michigan-based store, headquartered in Western Michigan just outside of Grand Rapids. They claim to be the original “one-stop shopping,” and many stores host smaller shops (independently run), or “services” inside, from banks to shoe repair to barber shops to dentistry. Most, if not all, of their stores are in rural or suburban locations. The Detroit store breaks that pattern, but, more importantly, it could be a show of faith in the city: that a Michigan-based company like Meijer is willing to open in Detroit is, to my mind, as big a deal as Whole Foods opening in Midtown. I say Meijer dipped half a pinky toe into Detroit, though, because the new store is located on 8 Mile—on the Detroit side—at Woodward, and it faces 8 Mile, thus facing the northern suburbs. So it’s just barely in Detroit, and it seemingly can’t bear to look. To be fair, though, it is the anchor for a strip mall (also not the norm for Meijer). 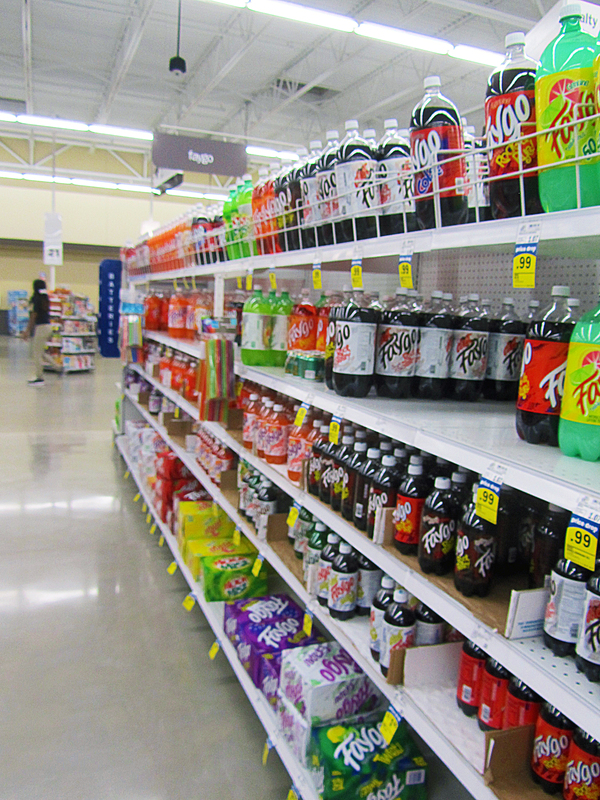 The look of the store is somewhat stark and cold, if clean—mostly white, letting the products be the color. (This is reminiscent of Farmer Jack’s “Future Store” built in Canton in 1988-89. I guess they were right about the future.) We were only there for a brief time, with a few items to pick up, so I don’t know how it would feel to shop for a long time surrounded by so much white paint (my least favorite color). I picked up some diet Rock ‘n’ Rye, Red Pop, and Creme Soda, 20-oz. 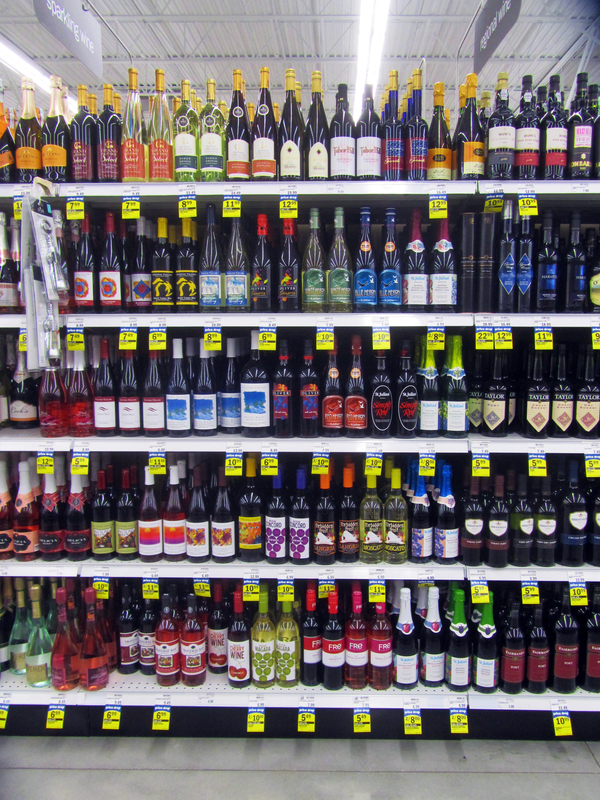 bottles 2/$1. 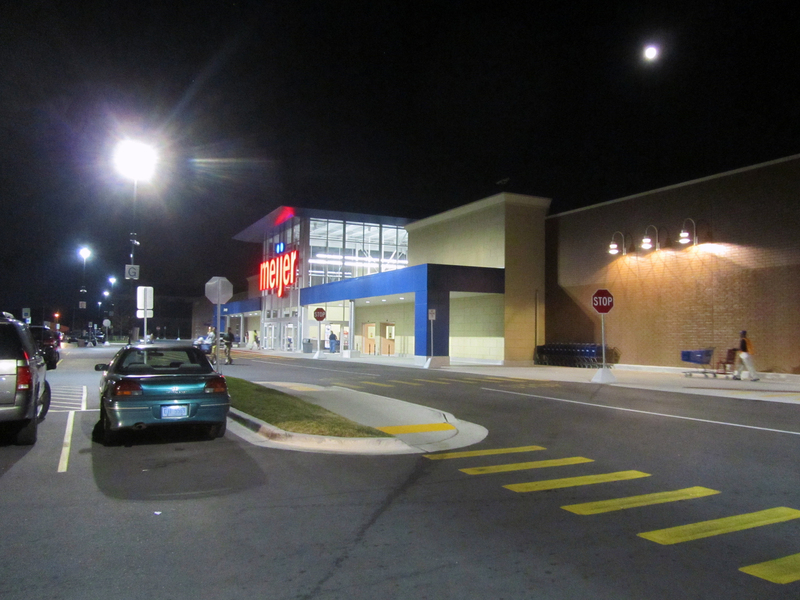 One difference from most Meijer stores is that this location is only open from 6am-11pm, whereas most are 24 hours. This location offers a gas station, a pharmacy (with a drive-through pick-up window), a bakery, and deli, along with all the usual departments. In addition to the store’s own services, Huntington National Bank has a branch inside the store. Meijer’s one-stop shopping means you can buy motor oil, a bed pillow, fresh produce, and a digital camera all in one place—or whatever other odd combination of stuff you might need. And speaking of produce, Meijer usually has some of the best produce compared with local grocery stores. Meijer also normally has a great selection of products, especially in grocery, including locally made products, ethnic foods, vegetarian/vegan selections, and more. The store brand (meijer) is almost always of excellent quality. (We also picked up some store-brand Mackinac Island Fudge ice cream—theirs is, in my opinion, the best brand of that flavor.) The prices are quite good, as well. Even though I sing the praises of this chain (and, living in California, actually dream about it from time to time), I hated working there back in the early 90s while I was in college. It wasn’t as bad as some places, and in fact can offer excellent advancement opportunities within the company, but there were definite issues you would expect to find for workers in a big-box store. We were unionized, though, which helped. I hope things go well for the store, and for all the stores in this (choke, gasp) strip mall. As much as I hate strip malls, it’s good to see businesses investing in Detroit, and they provide much-needed jobs as well as options for shoppers in the city. This photo, taken from just inside the main entrance, shows an overview of the 30 checkout aisles (including self-checkout). I’d be remiss if I didn’t also mention that the store’s employees were unusually friendly; even when just passing us in an aisle, they’d greet us, ask how we were doing, and wish us a good night. So far, it seems to be a very pleasant place to shop. This entry was posted in Detroit, Shopping in Detroit and tagged cherry wine, Faygo, grocery, Meijer, Michigan, Michigan wine. Bookmark the permalink. 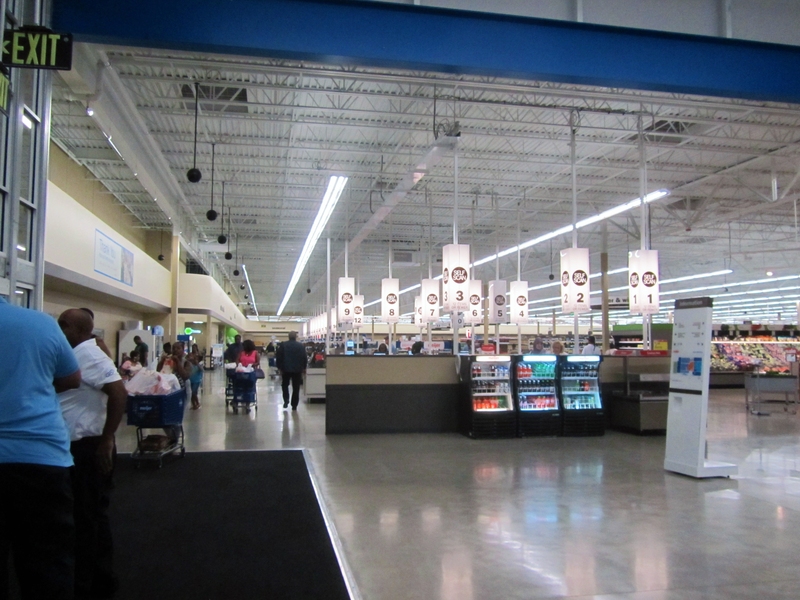 The Royal Oak Meijer is the very best store in terms of volume, revenue, and environment. I hope the new store can fill the gaps for Detroit shoppers and lead other stores to move in.